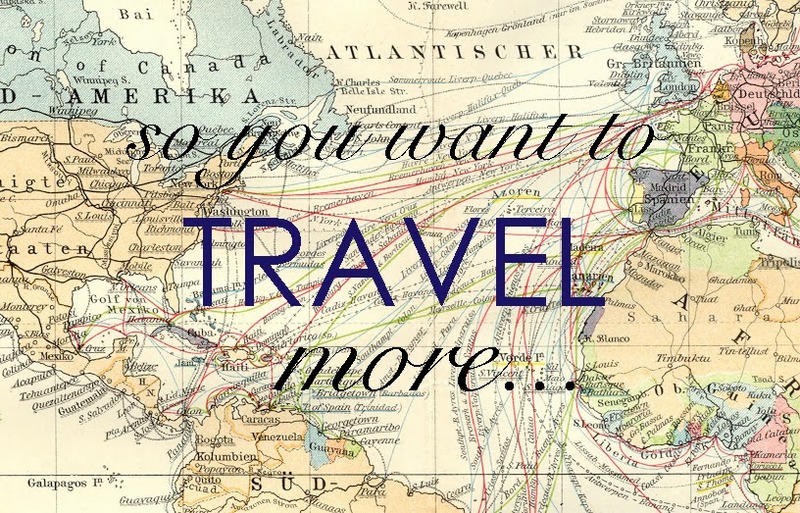 So You Want To Travel More...10 money saving tips to get you on the road! Who doesn't want to travel more in 2016, but affording it is the hard part, right? We have lived abroad since 2010 which has afforded us the opportunity to travel much and we've learned a few things about cutting costs and making the vacation dollar go a little farther. Here are a few of our best tips. 1. Avoid the rest stop! Prices tend to be higher at rest stops so before you leave town stock up on snacks and drinks at your local grocery store. My husband is a big veggie eater so we always bring a container full of vegetables. I also like to make my own trail mix. I buy the fruit and nuts my children like so there is no cherry picking or waste at the end of the bag. If possible, fuel up in town as rest station fuel is always 10-15% more expensive! 2. Buy a cooler. Number two goes along with number 1, invest in a electric cooler. Since we travel quite a bit by car we bring more than just snacks. Often I pack breakfast and lunch food. The morning of a trip I stop by the bakery for fresh bread and I pack with it lunch meat and travel size condiments. Don't forget napkins and a couple plastic knives. It takes some creative packing in trunk, but the effort will save you money. 3. Rent an apartment. If you have more than 2 children finding an affordable hotel in Europe is difficult; renting an apartment is a good alternative. Not only do apartments have more space, they offer you the flexibility to eat in. Also, many come with a washer/dryer allowing you to pack less, freeing up space in the trunk for your cooler. We always choose an apartment over a hotel room but, if you do choose to stay in a hotel find one that offers breakfast included in the room price. A few good websites are homeaway.com, VRBO.com, airbnb.com and booking.com. 4. Free Walking Tours. A friend of mine who travels regularly with 4 children turned me on to these. Every major city in Europe offers a free walking tour. They provide a good overview of the city, typically point out major sites, and the best thing, they are free or almost. Yes, you should tip your guide, but you determine what the tour was worth. Google search free walking tours in your city then check out Trip Advisor for ratings. Some require a reservation beforehand, others don't so be sure to read the fine print. We've had good luck with them. For example in Porto, Portugal we were the only ones on the tour. Had we booked a private tour on our own we would have paid at least twice as much. 5. Limit Souvenirs. Give your kids a budget and let them choose how to spend it. You avoid being hassled every time you walk by the "trinkets and trash" (as I refer to them) AND they learn how to spend wisely -- it's a win-win! A friend of mine buys a reusable grocery bag in every city she visits. It's useful, won't collect dust or add weight to your suitcase, and they are inexpensive. I've started my own collection and I actually really like them. Now every time I shop I am reminded of our vacations. If you want something bigger, avoid throwing away your money on the little stuff like snow globes, key chains and magnets. One quality item, like a coffee table book or piece of pottery you can display will bring a lot more satisfaction when you are back home. 6. Find the Freebies. The Smithsonian Museums in DC and the British Museum in London are free! Most churches are free, (only in England and Italy do you pay as a standard), but in Europe (almost without question) children under 18 are free or at least discounted. City parks are free and they offer a chance for kids to run around and parents to relax a bit. We had the best time at Luxembourg Garden in Paris. Bob and I relaxed in a chaise lounge while the girls sailed boats (rented for €2) in the fountain. 7. Plan in Advance which activities you will spend money on. There are so many enticing ways you can spend money from horse carriage rides to wax museums. Decide what will be your big spend items, budget for them, then enjoy yourself! If you have children, include them in the decision making process so that when they are distracted by all the eye candy you can say, "if we do this we can't do...". We spent the 2012 Christmas holiday in France. Our big activity for the trip was also our Christmas gift to the girls -- we spent the day at Euro Disney and it really was magical! 8. Parking. About 10 years ago we visited San Francisco and in one day we paid about $50 in parking fees. That was a huge expenditure I wasn't expecting and such a unsatisfying thing to spend money on. Parking in European cities isn't much better--not only is finding a spot often times difficult, but onsite parking fees can run anywhere from €10-30/day. When in a city like Paris, the closer to downtown you park, the more expensive the price tag. We google searched parking lots, found secure parking on the outskirts of town and saved a bundle. Parking near the Louvre costs €30/day or €64 for 3 days. Parking about 15 minutes away cost €10/day or €30 for 3 days. It did require my husband to take the train back into the city after dropping off the car, but for us, the effort is worth it. In Lisbon, parking near our apartment was €10/day; one mile away it was €4. This same pricing model exists in most big european cites. When staying in a hotel search for accommodations that offer free parking. This might mean you have to walk a little farther into town, but there are many who offer it. Be aware of your location. Sometimes for the safety of your car, you will want to pay for secure parking. 9. Travel or City Cards. Many cities offer a pass that allows entrance into a number of attractions at a discounted rate and most times even includes public transportation. These can be worthwhile, but you have to do your homework. The Salzburg pass includes a cable car ride to the top of a nearby mountain. The price of the ride alone is worth the pass, but only if you have a car as the mountain isn't easily accessible by public transportation. We found the Berlin and Paris city cards were worthwhile but to make the Florence card worth the cost you'd really have to be a lover of Renaissance art or be traveling without children. Another huge benefit to a city card is that it usually allows you to bypass the long line of people queuing to gain entrance. 10. Food. Food is always our biggest expense and the most expensive food is usually the food right in front of you. If you are willing to walk a couple of blocks off the tourist mile you will usually find better food and a better price. Do some research beforehand- check Trip Advisor, ask the locals or your hotel for recommendations. If you are going to spend money on food it might as well be good! You can always count on pizza to be a good value in Europe especially for finicky eaters. We always look for a grocery store- in big cities they are sometimes tucked out of the way, but they exist. A few years ago my husband suggested an idea that sounded outrageous to me. We have a cat and our regular sitter had moved, so instead of kenneling our pet my husband suggested a free house sitting service. Mindmyhouse.com is a company where you place an ad stating your needs and then strangers apply for your job.They get free accommodations and you get someone to look after your house, pets and plants. It sounds nuts, but we used this service 5 times with really good results. As a matter of fact, our last house sitter had dinner waiting for us when we returned. Check the website for more information on their screening process, but I swear it was the most liberating tool in planning our vacations. Traveling costs money, there is no way to get around it, but with some advance planning and smart money management you can do it economically! LOLon #8. Ik it's not funneh, but boy was it expensive 10 yrs ago so you could imagine how much it would be nowadays. You a cat person too? That is a great alternative to kenneling. Love the idea of t hat pet sitting service, and what a great trade of that is! Wonder if there is anything like that in the U.S. Going to check it out! Renting a Europe Tarif is easy because there are a lot of options available for you to choose from. However, if it is your first time to rent a villa there then an easy guide would be very helpful.